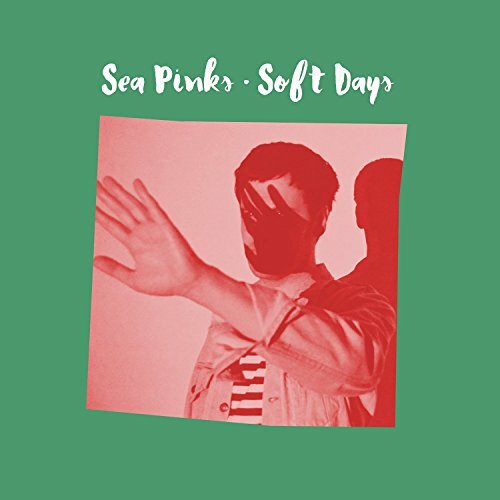 Belfast trio Sea Pinks offers up their eighth release in as many years and it’s a jangly, trebly, batch of eighties and nineties inspired pop. Taking its thematic approach from the title Watercourse, the lyrics frequently reference aquatics in myriad ways. Not bad timing for the warmth spreading over the land this Spring. Harkening early REM throughout (along with a few others from that era), the band shows just how tight you get after eight plus years of playing together. One of the things that disappointed me, however, is the lightweight lyrical content, which renders the sharp musicianship as fairly pedestrian indie-pop. Maybe I’m being too harsh for an ostensibly pop recording, but something in me thinks that there’s a bit more they wish to say, although it never quite comes through in the lyrics, which sound trite and lazy at times. “Into Nowhere” comes the closest to that something I sense is missing. A bit darker, slinky, and thankfully absent of the occasionally cloying riffs that drive the majority of the other numbers. It’s far and away my favorite and I really wish there were more like this on this album. To be fair, this is an entertaining enough album and I’m sure the band is great for a night out at a pub. It’s just that you can say the same about a gazillion other bands. If this is all they hope to attain, mission accomplished. Yet, I’m pretty sure it isn’t. To whit; there’s a number titled “Playin’ for Pride,” that hints at the frustrations of trying to make a living in music. It’s the kind of song I’d not expect from a band that’s been around this long, and if it’s their cry into the void, it may be falling on deaf ears. “No one ever told ya, you make it or you die;” which, while a little heartbreaking, is also a tad overly earnest. That final descriptor might be the best summation of the good, bad, and indifferent on Watercourse.